Rogue State and its author came to sudden international attention when Osama Bin Laden quoted the book publicly in January 2006, propelling the book to the top of the bestseller charts in a matter of hours. It is an essential guide to the crimes and misdemeanours of the world's only superpower. William Blum is one of the United States' leading non-mainstream experts on American foreign policy. He left the State Department in 1967, abandoning his aspiration of becoming a Foreign Service Officer because of his opposition to what the US was doing in Vietnam. He then became a founder and editor of the Washington Free Press, the first 'alternative' newspaper in the capital. 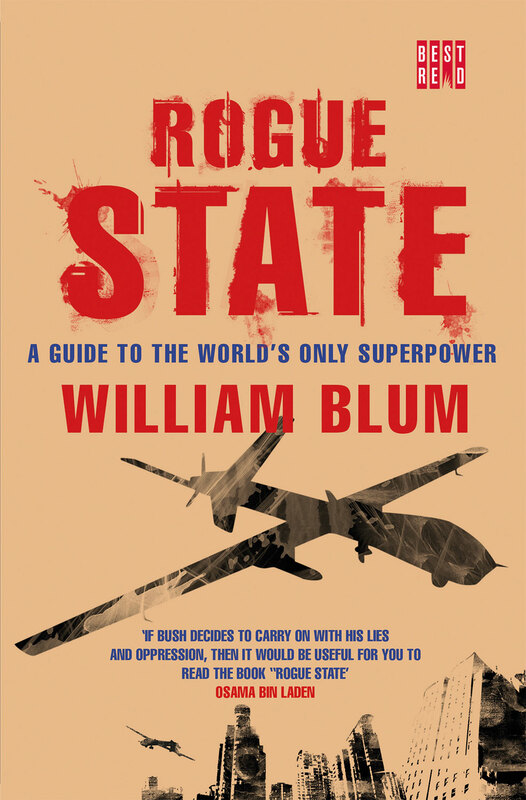 Blum has been a freelance journalist in the US, Europe and South America, and is the author of 'Killing Hope' and 'America's Deadliest Export'; both published by Zed Books. 26. The US invades, bombs and kills for it...but do Americans really believe in free enterprise? 27. A day in the life of a free country, or how do the United States get away with it?